What is “basic economy?” Over the past 18 months or so, the major airlines have rolled out a new tier of economy class service. This was ostensibly intended to compete with ultra low cost carriers such as Spirit, but ultimately these fares showed up on pretty much every route. No changes or cancellations are allowed, with very limited exceptions. If you don’t fly, you lose the entire fare. No seat selection until the time of check-in. 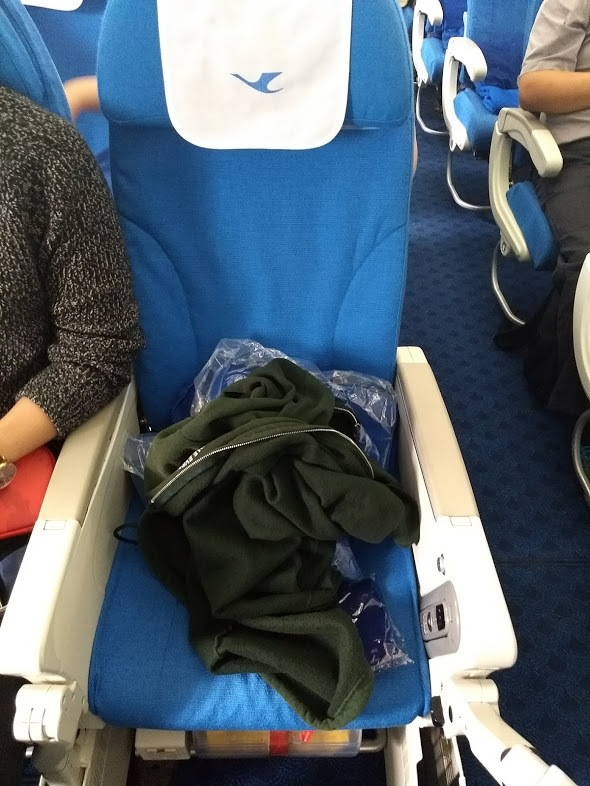 This means you have a better chance of ending up in a middle seat. Frequent flier program benefits are limited. If you’re an elite member of a frequent flier program, you won’t qualify for upgrades or standby lists. Depending upon the airline, these fares may not count toward elite qualification. These fares can’t be upgraded at all. Not even if you pay. You’re sitting in the back, no matter what. In addition to this, United doesn’t allow a free carry-on bag on these fares, American doesn’t currently allow one but will do so on September 5th, 2018, and Delta has always allowed a free carry-on bag on these fares. Got all that? “Just pay around 30% more and you avoid all of these problems” Delta’s site practically whispers in your ear. I mean, I’m used to it. Gas stations try to upsell you to a higher grade of gasoline than you need, trying to guilt trip you into paying more. McDonald’s tries to upsell you super sized meals. So why not airlines, too? After all, the agenda of these fares was pretty clear from the beginning: advertise a deceptively low fare, and then lard it up with fees resulting in a more expensive fare. 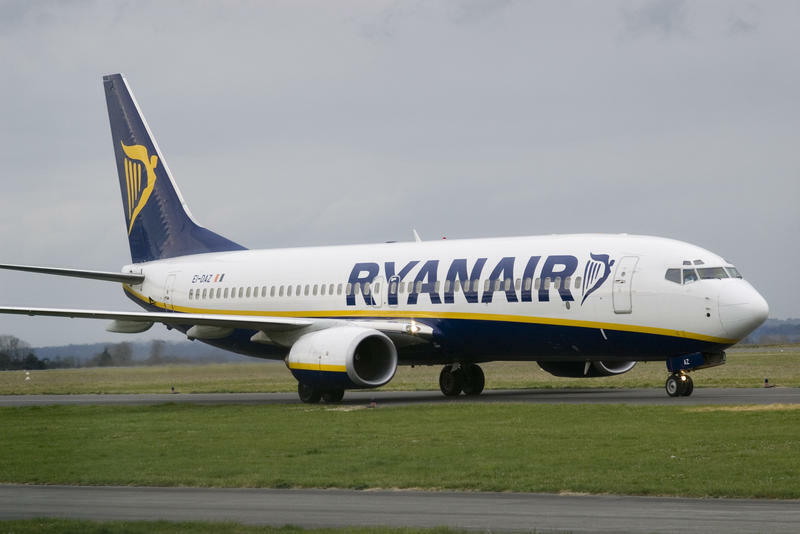 This is the business model of ultra low cost carriers such as Spirit in the US and Ryanair in Europe. 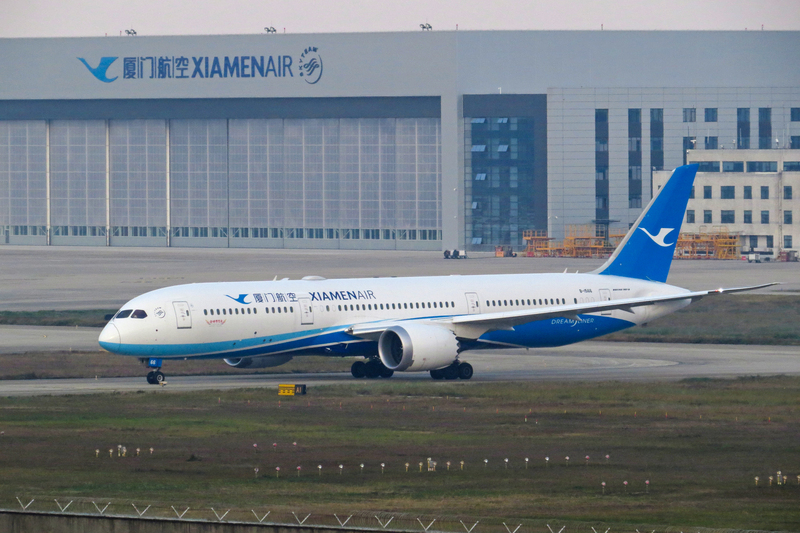 Unfortunately major airlines found that there were logistical problems in the implementation. 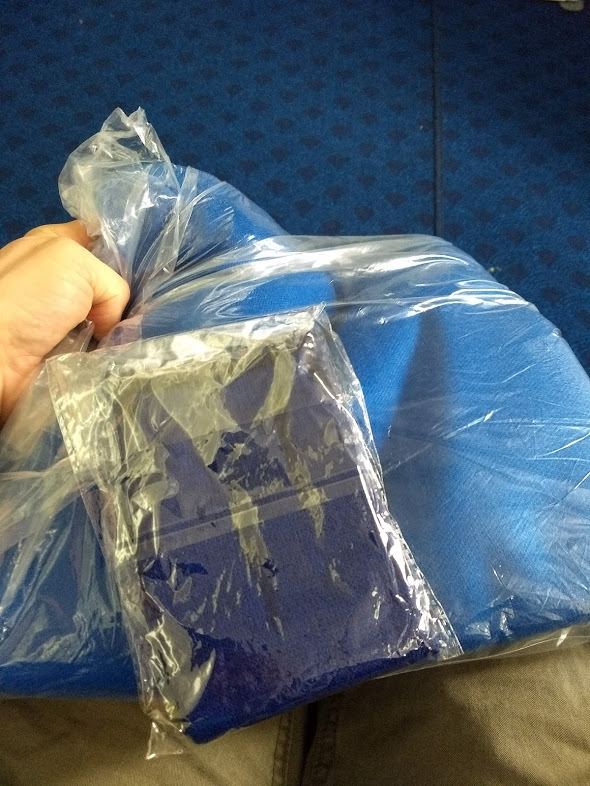 For example, Ryanair has historically been set up so that nobody gets a free cabin bag (they experimented with allowing these, but have backed off the policy and as of November will charge for them again). Major US airlines give most people a free cabin bag, but United and American charge people traveling on basic economy fares for their carry-on. Similarly, seat selection is free with most fares on major US carriers, but isn’t free with basic economy. Most people expect a terrible, scammy experience with Ryanair, but not with major US carriers. 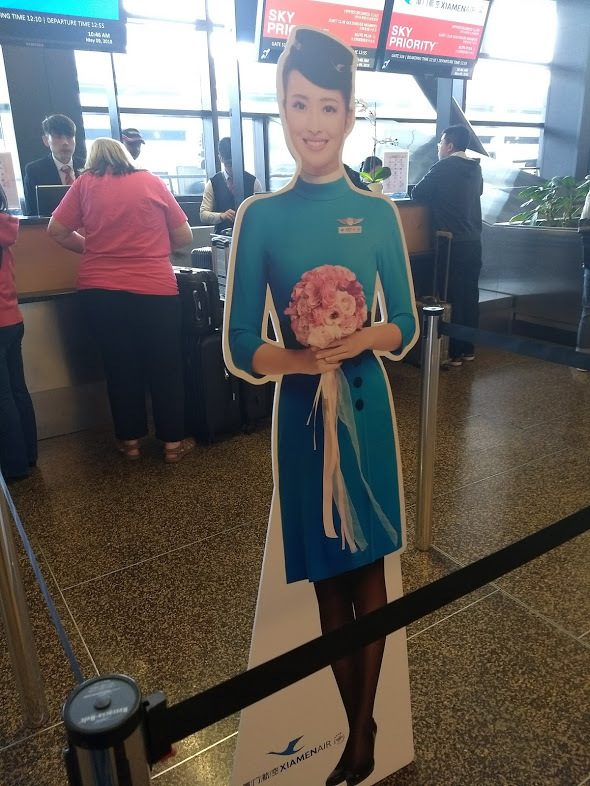 This has all rolled downhill to gate agents, who are stuck enforcing policies that are confusing to the flying public, most of whom are not frequent travelers. The outcome is predictable: abandoned bags in airports causing security nightmares (Paris Charles de Gaulle airport alone had to call bomb disposal units over 1,000 times in 2017), parents being separated from their kids, and flight delays. That’s actually a really bad thing in the airline business–flight delays are really expensive. 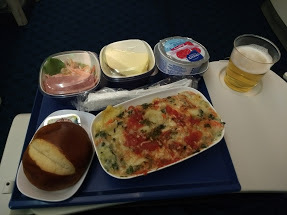 Given all of this, you might wonder why I’m crazy enough to buy a Delta basic economy fare. The answer is simple: I’m saving $30, and for this specific flight, I’m actually not giving up anything of value. I’ll break it down so you can see why this was the logical choice. For this flight, I had three practical options. I’ll break these down below. 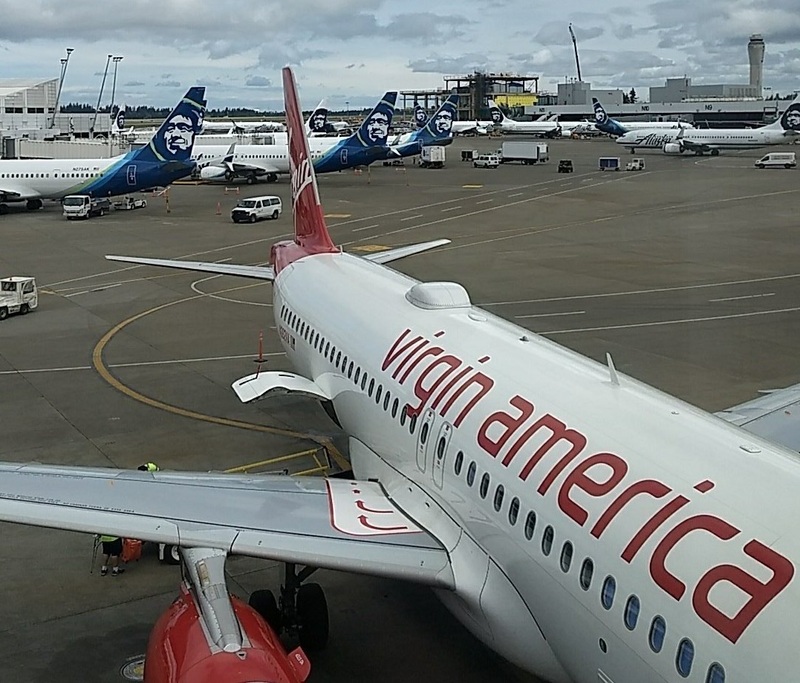 The first option: 12,500 Alaska Airlines Mileage Plan or American AAdvantage points for a connecting itinerary from Seattle to Phoenix via Sacramento. This was attractive because I didn’t have to spend any cash (apart from the taxes), and it was a way to burn American Airlines AAdvantage miles (which are hard to use). 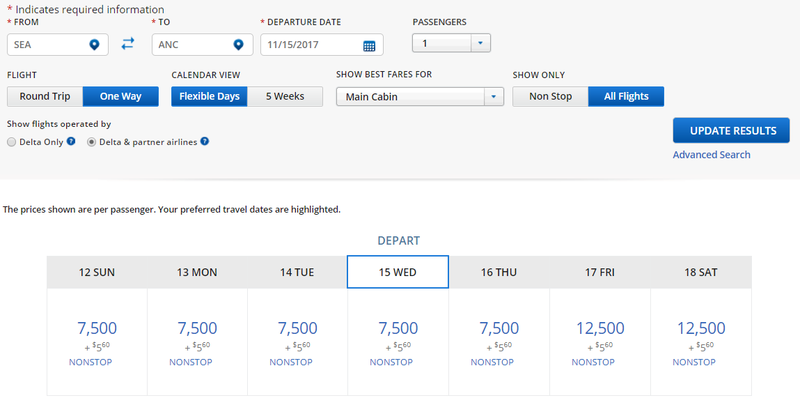 Also, AAdvantage allows changing dates and routings as long as the origin and destination cities don’t change; this would give me the option to move to a different date and/or a nonstop flight if inventory opened up. The downside? 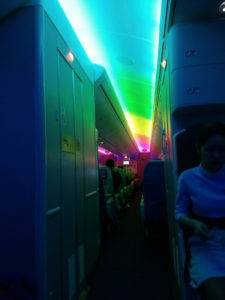 The flight left at 5:50 in the morning, and the trip took almost 6 hours. Also, for holiday travel, I considered the chances of a more favorable nonstop routing to be slim. The second option: 10,000 Delta points for a nonstop flight leaving at 9:30am, or $138.20 in cash for a regular economy fare. 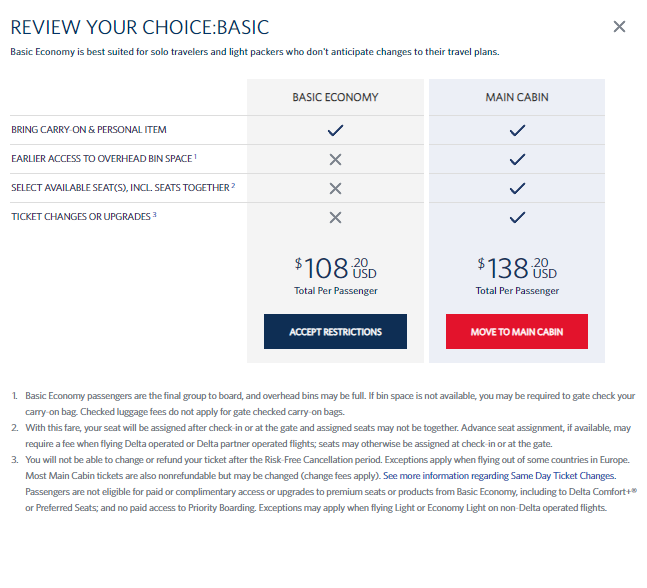 The third option: $108.20 in cash for a basic economy sale fare sold only on Delta’s Web site. Additionally, I had a $50 Delta gift certificate that could only be used on Delta’s Web site. I find these hard to use because I don’t buy many tickets with cash. Change and cancellation flexibility: If you book with miles, Delta will allow you to redeposit them for a $150 fee, as long as you do so at least 72 hours in advance. Changes are done as a redeposit and re-booking. You can also choose to forfeit the miles and just not show up for the flight. In this case, it doesn’t make sense to pay $150 to get $120 worth of miles back (if you believe The Points Guy’s valuations). So, in effect, the award ticket option was non-refundable and non-changeable. The regular economy class fare has even worse economics: you can pay a $200 change fee to get back $138 in credit toward another ticket. Advance seat assignment: For some people, it’s worth paying extra to avoid a dreaded middle seat. However, the flight I am taking is operated by an E-175 aircraft. The seating configuration on the aircraft is a 2×2 configuration, meaning that I am guaranteed either a window or an aisle seat. I’m traveling by myself. There is nobody I want to sit with, so there is no value in paying extra for this. Luggage allowance: Delta gives you the same luggage allowance on a basic economy fare as with a regular economy fare. So, I can bring a regular sized carry-on suitcase and a laptop backpack–this is plenty for a Thanksgiving trip. Standby flexibility: Delta’s informal “flat tire rule” applies to basic economy tickets, and this is the only flexibility I’d potentially need. I don’t plan to get to the airport earlier than 9:30am so standing by for an earlier flight wouldn’t benefit me. Paid upgrades: Not judging those who do, but boozing it up at 9:30AM just isn’t my thing. 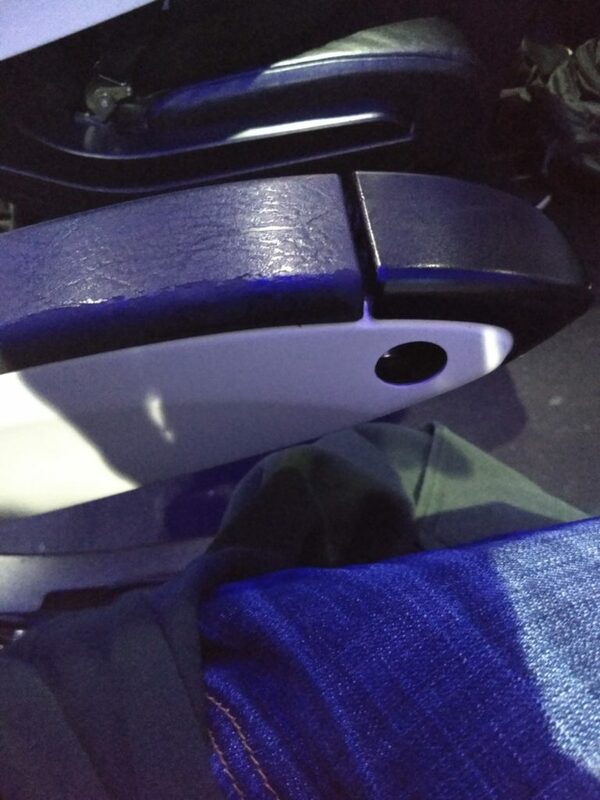 And I am 5’7″ and weigh 140 pounds soaking wet, so I don’t need extra leg room or a bigger seat. Elite qualification: Who cares? As a Seattle-based traveler, I travel so infrequently on Delta given their subpar West Coast schedule that this isn’t even on my radar. Elite benefits: I don’t have elite status on Delta so none of that stuff applies to me. Even if I had elite status, to me, paying more to board earlier isn’t worth anything. When I looked at the full picture, it made the most sense to spend cash this time. What tipped the balance for me? The Delta gift certificate I have has been surprisingly hard to use, and this is a good opportunity to spend it. It’s also cheaper than redeeming miles. I personally agree with The Points Guy’s valuation for Delta miles (although I usually get better value for them), so spending $120 worth of miles (plus $5.60) on a $108 ticket simply doesn’t pencil out. And there you have it: I bought my first Delta Basic Economy ticket, and it actually made more sense to pay cash than points this time. More importantly, I’ll get to spend Thanksgiving in Arizona, which will make my mom happy! On my recent trip to Minneapolis, I was originally planning to return directly to Seattle on a nonstop flight with Alaska Airlines. 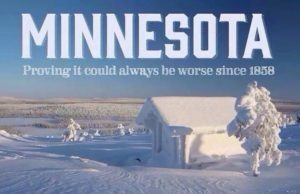 However, after shivering in the frigid temperatures and looking at the terrible forecast for Seattle, I decided that it might be better to head somewhere warm. Alaska Airlines has really been adding a ton of service to San Diego lately, and I was delighted to see that nonstop service from Minneapolis was starting the day I was leaving Minneapolis. Even better, saver level award space was available. This opened up a great opportunity for me because it was close to the Thanksgiving holiday and award space was very difficult to find. So I hatched a plan: fly to San Diego, rent a car, drive to LA, get an airbnb for a week, visit friends, drive to Phoenix for Thanksgiving with family, then back to San Diego, and finally, a flight back to Seattle. Two flights. One award ticket. Well, the first order of business was changing my flight. I already had a flight booked from Minneapolis to Seattle using British Airways Avios. This had cost 10,000 Avios and $5.60 in taxes. However, if I simply changed the ticket with Avios, it’d cost a $55 change fee plus the difference in miles (another 7,500 Avios). British Airways charges per flight based on distance with a minimum cost of 7,500 points. This obviously wasn’t the optimal solution. However, British Airways offers another option: you can cancel your flight and redeposit the Avios. This also costs $55, but there’s a loophole: the $55 is deducted from the taxes and fees already paid. If you cancel online, British Airways won’t refund any fees, but also won’t charge any additional. So, in effect, you can cancel domestic US flights booked with Avios for $5.60. Given that I was flying Alaska Airlines, another option was to book with Alaska Airlines Mileage Plan. 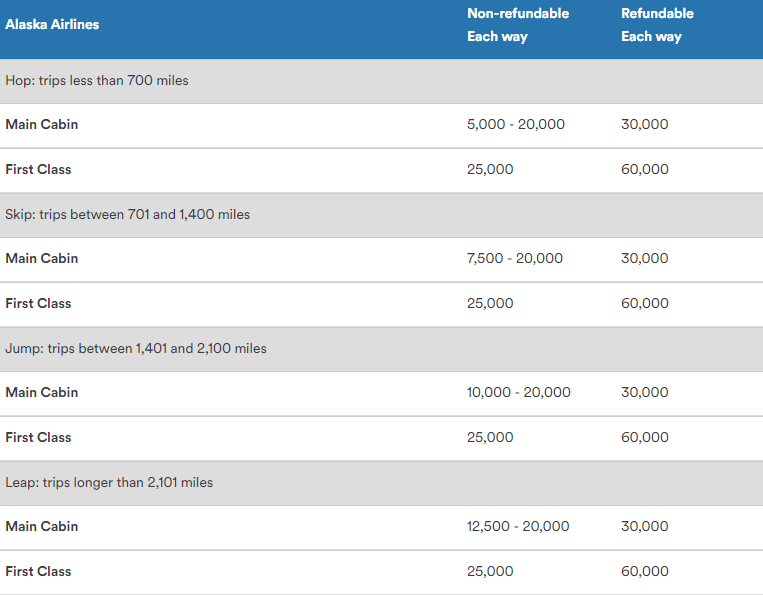 I typically don’t book Alaska flights with Mileage Plan miles (using them for partner redemptions instead), because most Alaska flights are short to mid-haul and are thus cheaper with the Avios award chart. However, Mileage Plan has a very unusual benefit: they allow a stopover on a one-way trip. What does this mean? Alaska treats a trip from Minneapolis-San Diego-Seattle as a single ticket, even if you stop over for 10 days in San Diego. And if you can find space at the lowest award level, it means the trip costs only 12,500 miles. Stopovers are specifically allowed under Mileage Plan rules and while most people don’t take advantage, it’s an entirely legal and risk-free “hack.” The catch? You have to find “saver” level award availability (in economy class, “W” fares) for the entire journey. 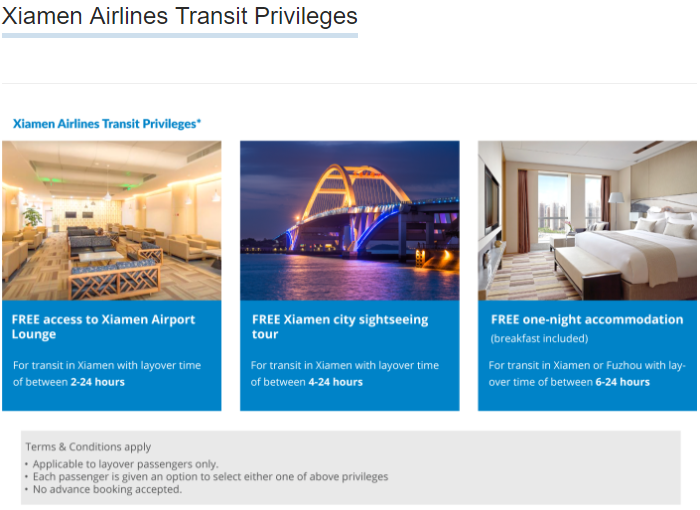 Your trip must be entirely on Alaska Airlines where a domestic stopover is involved (on partner awards, stopovers are only permitted in international connecting cities). And you can only take a stopover at a logical connecting point. San Diego was a logical connecting point for my trip from Minneapolis to Seattle, because it’s in the correct direction of travel and doesn’t exceed the maximum permitted mileage. Alaska does have some measures in place to prevent illogical connections, such as Minneapolis-Portland-Los Angeles-Seattle. It’s not just in San Diego where you can take a stopover, and people in the Lower 48 probably aren’t the biggest users of stopovers. This is a really valuable benefit for folks in rural Alaska who often get stuck in Anchorage overnight before they can fly onward to anywhere. Without it, they’d effectively be unable to book award tickets to anywhere other than Anchorage. Additionally, many folks traveling from Alaska to the Lower 48 stop over in Seattle for shopping before heading home. Everything costs more in Alaska so this makes plenty of sense. The Tukwila Costco is strategically located near Sea-Tac Airport and I’d be surprised if at least 10% of its business isn’t Alaskans. 724 miles by air… and quite a few more by car. Fortunately, the same benefit extends to those of us in the Lower 48, even at relatively new “mini hubs” like San Diego. Now, I’ll be completely honest: taking advantage of the stopover benefit did cost me money I wouldn’t otherwise have spent. After all, I was really going to Los Angeles and Phoenix, not San Diego. This meant I had to drive 100 miles farther than I wanted, but I did it in a rental car that was less expensive than it would have been in Los Angeles. I also had to overnight in San Diego versus flying out the day I wanted to leave, but the $35 hotel room I bought on Hotwire was cheaper (by far) than buying a flight. There were definite trade-offs, but I think they were worth it for the savings. And spending some time in San Diego, a city I often overlook, gave me the opportunity to reconnect with a friend I usually only see once a year. The upshot? Look for new routes when you’re looking for award space. These are often wide open with saver level award space, even when most routes have been booked up for months around a busy holiday period. And if you’re flying on an Alaska Airlines Mileage Plan award ticket, don’t overlook the value you can get out of a stopover. This is a huge benefit. It’s one that really differentiates the program from its competitors (most of whom have taken away the ability to do this), and stopovers can really make an award trip more fun! For a long time, most US airlines charged 25,000 miles for a saver level domestic round-trip award in economy class. This is a number that stayed the same for literally decades. Airlines cut availability of saver level awards, introduced additional higher level pricing tiers with more availability, and made one-way awards available, but one principle remained the same: with few exceptions, the price was–more or less–12,500 miles whether you were flying from Seattle to Portland, Oregon or Portland, Maine. Some “hacks” were available, but they were limited. For example, British Airways Avios offered (and still offers) a distance-based chart that charges per flight. For short-haul flights of 650 miles or less, they charged just 4,500 miles (this award tier has been eliminated in North America, and now all flights up to 1,150 miles cost 7,500 miles). This is still great value, but it only applies on non-stop flights. Flights with a connection will cost you at least twice as much. A nonstop flight from Seattle to Las Vegas costs 7,500 Avios. However, connecting in San Francisco will set you back 15,000 points! Well, a lot has changed in 2017. Delta got rid of its award chart entirely, and there are now some great values on it if you know where to look (along with some terrible values too). Alaska massively revamped its award program, but was much more transparent with the changes than Delta. American got into the game by introducing a new short-haul award, and even United has an anemic offering in its award program. A couple of years ago, I ended up with a massive haul of Delta points through a promo they ran with American Express. The only problem was using them. The Delta SkyMiles program has been much maligned over the years, and deservedly so. Delta was historically stingy with award availability, making it hard to use SkyMiles. Then they introduced an insanely complicated award chart with as many as five different pricing levels. Awards went from being almost impossible to obtain to available, but incredibly expensive. Eventually, Delta got rid of its award chart entirely. Most people assumed that it would result in a price increase for most flights, and for awhile, that was true. While prices have gone up for many flights, they have–surprisingly–come down on a lot of flights too. There doesn’t seem to be a whole lot of rhyme or reason to it, but short-haul flights can be priced from 5,000 to 7,500 miles when booked in advance. What’s more, the pricing may be loosely based on the revenue fare, but also seems to be based on demand for the flight. Seattle to Anchorage is a $140 paid flight, so redeeming SkyMiles yields a value of about 1.8 cents per mile. Anchorage is a mid-haul flight of 1,449 miles – but it’s only 7,500 SkyMiles on select dates. I am using my bank of SkyMiles for flights to Alaska (I recently redeemed 7,500 SkyMiles for a flight to Juneau) and for flights to Los Angeles (I just redeemed 5,000 points for a flight to LAX). In all cases, I have realized an equivalent cash value of over 2 cents per point, which is very good for SkyMiles. American’s AAdvantage award chart is largely theoretical because there is so little award availability anymore. That being said, short-haul flights of 500 miles or less to the US or Canada are allowed for 7,500 miles. If you’re stuck with a lot of AAdvantage miles and want to use them for short-haul flights within North America, focus on Canada. 500 miles can get you from most of the East Coast to Toronto or Montreal. These would often be very expensive flights otherwise. 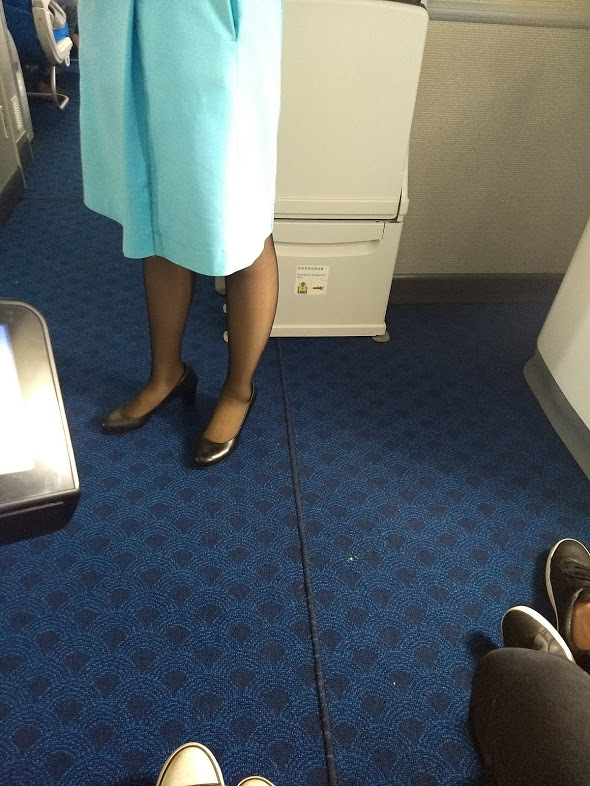 Given that American allows you to take a connection en route to your destination (while BA charges you per flight), this might be a better option if you can hold the overall distance traveled to under 500 miles. United has, for many years, offered a short-haul award of 10,000 Mileage Plus points for up to 700 miles traveled. However, this just isn’t much of a savings over the 12,500 mile level for longer flights. Since the difference in cost is so small, the calculations really don’t change substantially versus a 12,500 mile saver level award. Generally speaking, United short-haul awards are poor value. Alaska Airlines revamped their award program at the beginning of this year. There was a lot of breathless coverage at the time along with a lot of silly hacks people published taking advantage of loopholes in the pricing engine (which have since been closed). While some of the changes were negative (the biggest being the loss of Delta as a redemption partner) others were largely positive, such as the move to a distance-based redemption chart. This exposed some sweet spots that have largely escaped the attention of mainstream travel blogs, but they didn’t escape my attention. Although you can find Alaska awards at the lowest levels, it’s not consistent. For example, it’s under 700 miles from Seattle to Ketchikan. Good luck finding an award at the 5,000 mile level though. I did find a couple – on December 23, for example. Merry Christmas! These awards do exist, but a more common redemption level is 20k which is more in line with what flights to Ketchikan cost. Unlike most programs, Alaska allows a stopover on a one-way award. This is such a valuable benefit that I always try to maximize it when using their program. However, adding in a stopover seems to consistently drive the price up to 12,500 miles (and this is guaranteed to happen when a partner is thrown into the mix). Accordingly, given my usage pattern and the flying I like to do, it really only makes sense to redeem Alaska miles for long-haul domestic awards in economy class or long-haul international awards in business class (with some exceptions; partner awards on American are also particularly good value off-peak). The Southwest chart isn’t distance based, but it’s worth pointing out that it can be highly competitive with distance-based airline award charts. Southwest awards are based on the price of the flight, not the distance traveled. However, for some flights, this creates a sweet spot. For example, flights from Seattle to Tucson are over 1,200 miles which would push an award into the mid-haul Avios chart (at 10,000 points required). However, Southwest regularly offers sale fares between the two markets and you can sometimes redeem Rapid Rewards points for much less. 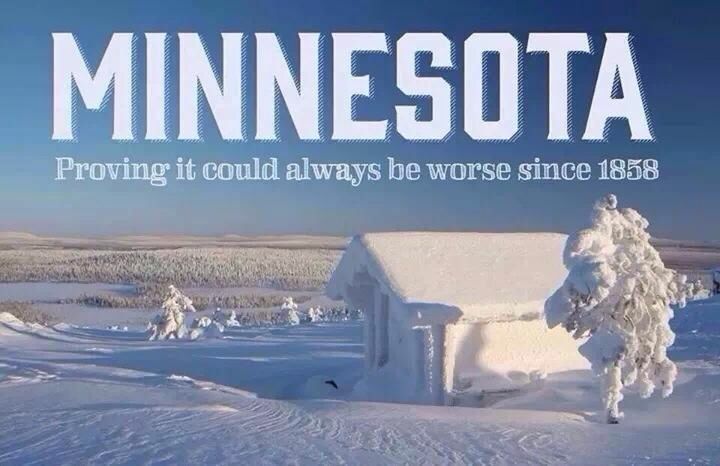 The same is true with flights to Phoenix and Los Angeles. These are very competitive markets and the fares are low, sometimes as low as $59 each way. With Rapid Rewards holding a pretty steady value of 1.7 cents per point (sometimes more, sometimes a bit less) it’s always worth comparing Southwest to an economy class short-haul distance based award. You may find that Southwest offers better value. 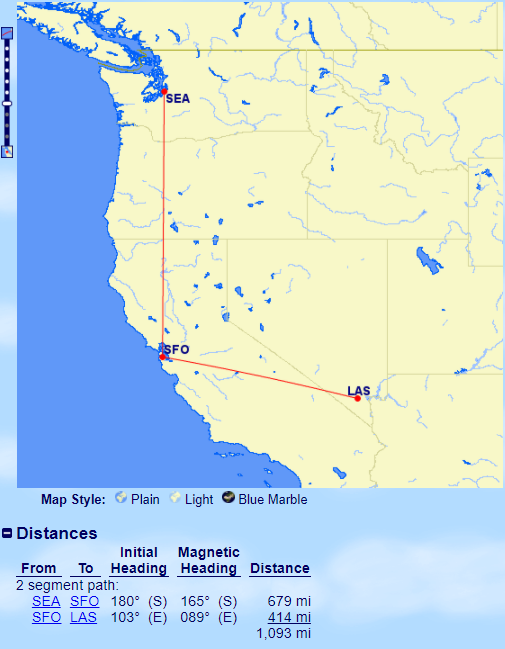 One “sweet spot” I have found is also a risky one: combining multiple short-haul award flights. I’ll explain how I did this with my friend Boris on an itinerary to Mazatlan this December. 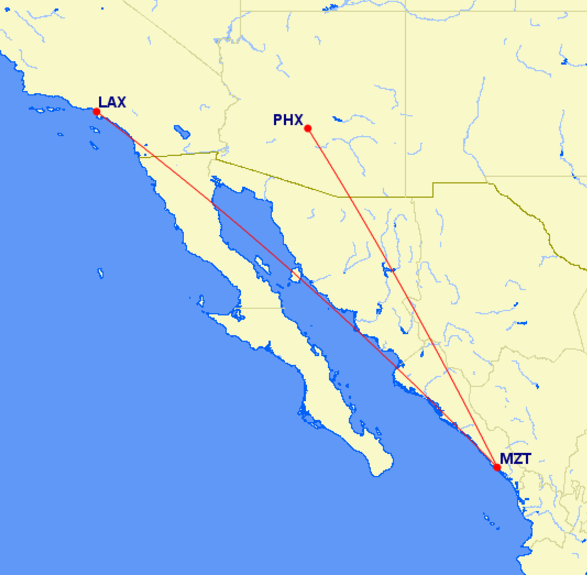 I am always on the lookout for new routes (since this often means award availability) and American Airlines (a British Airways partner) has recently increased their flying to Mexico via their regional partner Compass Airlines (which, oddly enough, has its roots in Delta-acquired Northwest Airlines). It’s 1,046 miles from Los Angeles to Mazatlan which puts the LAX-MZT flight in the 7,500 mile band with British Airways Avios. 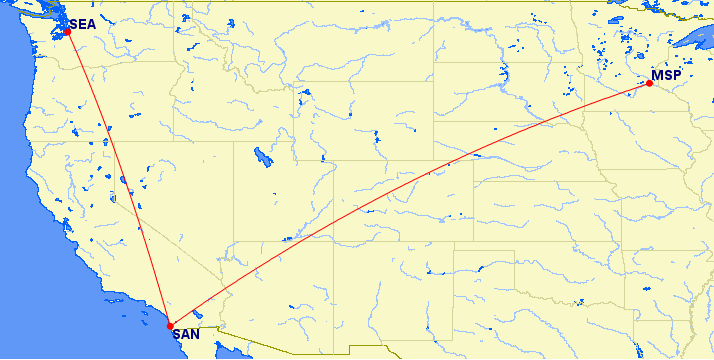 American’s flight from Mazatlan to Phoenix is also in the 7,500 mile Avios band, at 789 miles. So both flights are right in the “sweet spot” with the Avios program. What’s more, these are expensive flights to a popular beach resort at a busy time of year. It’d cost over $500 to buy the tickets! Granted, there is quite a bit of tax built into the fare (which you have to pay in cash when booking with miles) but you can realize about 2.3 cents per mile in value when booking these flights in economy class. These short-haul flights cost just 15,000 Avios. They would have cost over $500 in cash. Of course, I’m not starting my trip in LA, and I’m not ending it in Phoenix. I needed to book connecting flights. Unfortunately, there weren’t any available on the day of travel that would get me to Los Angeles in time, so I ended up flying a day earlier. For me, though, that’s actually fine. I have a lot of friends in LA, so I was happy to schedule an extra day there. How did I do it? Delta. 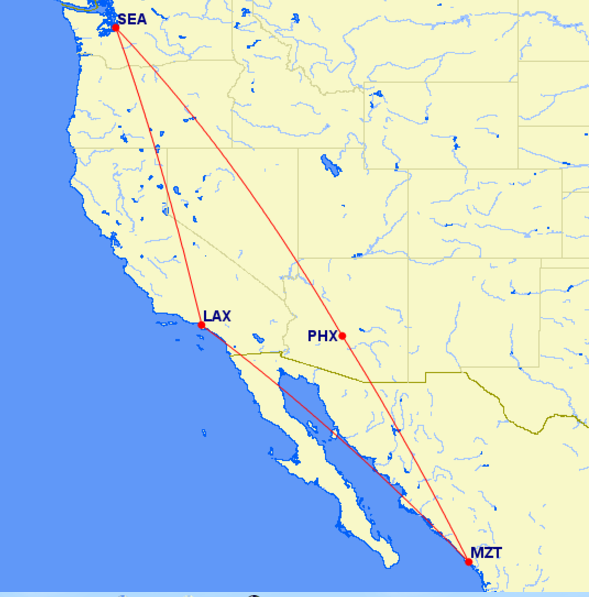 There was a 5,000 mile nonstop award between Seattle and LAX. This flight would have cost $106, so I got a very solid 2 cents per point. For the return, I initially booked a Southwest award at a very solid 1.8 cents per point in value based on a $130 fare. However, this ultimately wasn’t great value, because Alaska Airlines put a flight on sale leaving at almost exactly the same time. I had a $75 e-certificate that was due to expire, and using this brought the fare down to under $25 in cash. 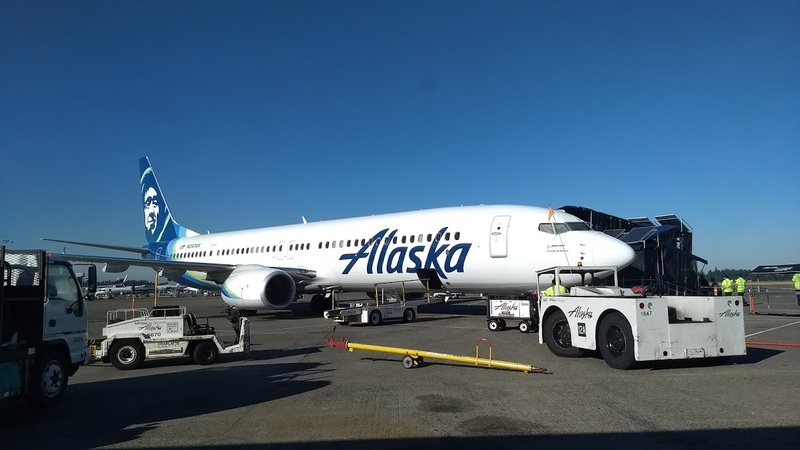 Considering that I’ll earn 1107 miles on this fare, and I can regularly get 2.2 cents per mile in value from Alaska miles, the ticket is actually free–it’s actually a better deal than using points. 3,896 miles of flying–for just 20,000 points redeemed. What’s the risk with a “hack” like this? The biggest one is on the return. If anything goes wrong with my flight out of Mazatlan, I could technically be stranded in Phoenix. This is because I’m traveling on two separate tickets. American only owes me a flight to Phoenix, and Alaska only owes me a flight from Phoenix to Seattle at the scheduled time. If I don’t show up for it, they don’t owe me a flight home. Additionally, American isn’t technically required to check my bags through all the way from Mazatlan to Seattle, even though I’m flying with their partner Alaska. However, in practice, it’s sometimes possible to arrange bags to be checked through. And in practice, Alaska will usually put you on the next flight out if you misconnect, even if it’s not their fault. I’m leaving on the last flight of the day, but my family has a place in Phoenix, so I wouldn’t be sleeping on the airport floor overnight. I have a couple of friends in Phoenix, so can probably lean on someone for a ride. Ultimately, the best deals sometimes require taking a bit of risk, and my worst case scenario is burning some points to get out of Phoenix. By optimizing my redemption of short-haul awards in economy class, I was able to achieve some very solid points valuations, all over 2 cents per mile, with hard-to-use points. And I got tickets to Mexico roundtrip from Seattle for just 20,000 points. 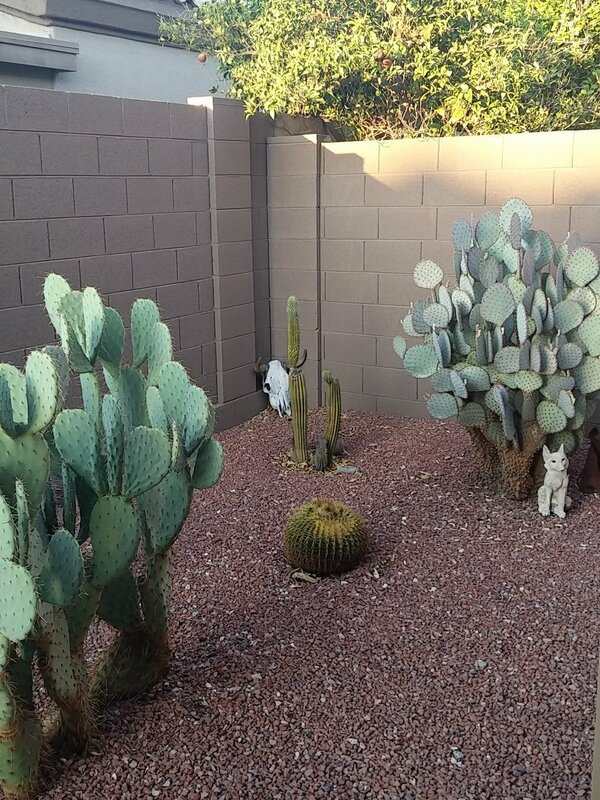 My parents own a home in the Phoenix area, and since they’re now retired they spend the majority of their winters in Arizona. As of late, they have started spending Thanksgiving in Arizona, since this provides a nice change of pace (and much better weather) from typically gloomy November weather in Seattle. Over the past two years, it has been relatively easy for me to get to Phoenix because I was a short drive away in Los Angeles. However, I’m spending much less time in California this year, and will be starting out from Seattle. This means flying, and flights during peak holiday periods are expensive. 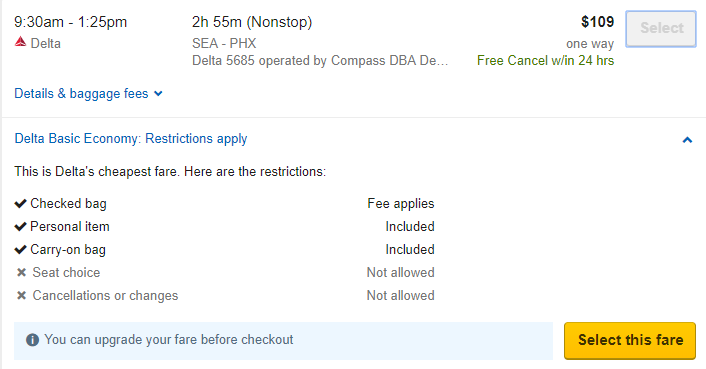 While flights to Phoenix have been spectacularly cheap as of late (as low as $59), it was over $400 for the dates and times I wanted. However, I had five different types of miles that I could use, so I thought it was worth checking to see whether using them was possible. When you’re going to a popular destination during a popular time, it generally isn’t possible to use miles. However, it’s sometimes possible if you have some flexibility in both the points you use and the way you book. Here’s how I actually did it. Southwest was out. The number of points required on Southwest is based on the price of a ticket. Because the ticket was expensive, there were no bargain fares using Southwest points. Avianca was also out. They partner with United in the US, who had no availability for the dates I wanted. Zip. Zero. Nada. Delta had availability for a silly number of points: 32,500. This is just shy of the points required to fly to Japan. Alaska could get me there on a 12,500 mile partner award using a combination of American and Alaska flights. However, they charge a $12.50 fee in addition to the taxes when a partner is involved. For Alaska’s own flights, the cheapest redemption was 20,000 miles. And all of the return flights were 30,000 miles. When you consider that this is what a ticket to Europe in the summer costs, it just wasn’t good value. 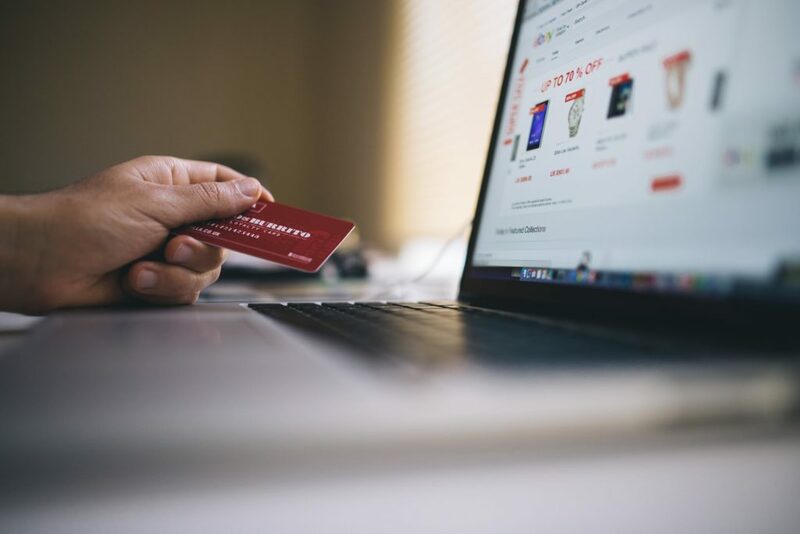 However, I could book the very same outbound flights using American Aadvantage points – a flight to Las Vegas on Alaska connecting to an American flight onward to Phoenix–for no fee. And I had just barely over the necessary 12,500 points with American. Given that American points are less flexible than many (a 3-week advance purchase is required to avoid a $75 last-minute booking fee), this was a good redemption for me. The paid flight would cost over $200, so the redemption value was about 1.6 cents per point. This is slightly above the average value of 1.5 cents per point. And it was a relatively rare case of a domestic redemption I could do with more than 3 weeks of pre-planning Booked! My American account is now cleaned out. The big problem was getting back. There was far less availability. Alaska had no low availability coming back on either the Saturday or Sunday after Thanksgiving. It would take 30,000 miles, which isn’t good value–it’d be less than 1 cent per mile. Southwest was based on the price of the flight, which was stupidly high. So this option was out. American didn’t have any availability, and I was out of Aadvantage points anyway. Avianca didn’t have any availability. Uh-oh. It wasn’t looking good. Then I checked Delta, and they had availability on Saturday! It was a Delta flight to Los Angeles, connecting to an Alaska flight to Seattle. 12,500 miles. Booked. Search One Way: A roundtrip search yielded no availability. One way searches also yielded no availability on some airlines in some directions, but I was able to find a combination that got me there and back. Know The Rules: Delta allows booking one-way flights when combining an Alaska and Delta flight. However, Alaska Airlines doesn’t; you must book a round-trip flight when a Delta segment is included. While I could technically have used Alaska Airlines miles to book this itinerary, the Delta segment wasn’t showing up as available on the Alaska Airlines Web site. This sometimes happens (particularly when inventory is in flux) so having more than one points currency helped. Have more than one points currency: If all of my miles had been locked up with one airline, I wouldn’t have been able to book this itinerary. Ignore people who say you have to book a year in advance: Frequent flier seat availability changes all the time. If you want to take an expensive flight, it almost always pays to try to use your miles. Even if you can’t find a round-trip fare to your destination, you may still be able to book one way on points and save half of the cost. 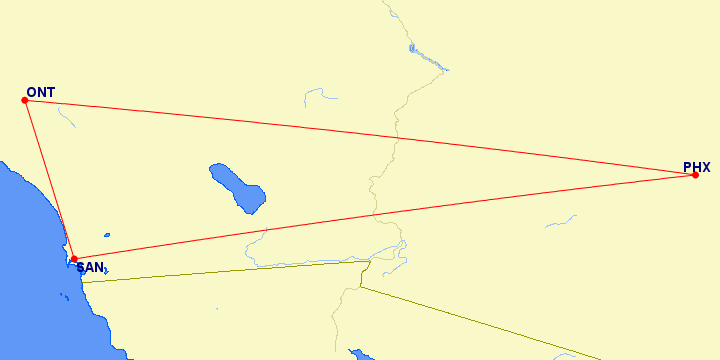 Be flexible with flight times and willing to take a connection: I have to fly through Las Vegas on the way to Phoenix, and back through Los Angeles. I had very limited choice of flight times. This wasn’t as convenient as a nonstop at exactly the times I wanted, but it’s only a couple of extra hours and the times were close enough. For $400, I could be flexible. Fly alone: There was one seat available on this itinerary. It gets a lot harder to use miles during peak times if you need two seats traveling together. Spend points, don’t sit on them: American miles are expensive to use if you don’t book in advance. Delta miles are notoriously hard to use (at reasonable rates). This was a trip where the stars aligned and I could realize good (although not amazing) value for my points. 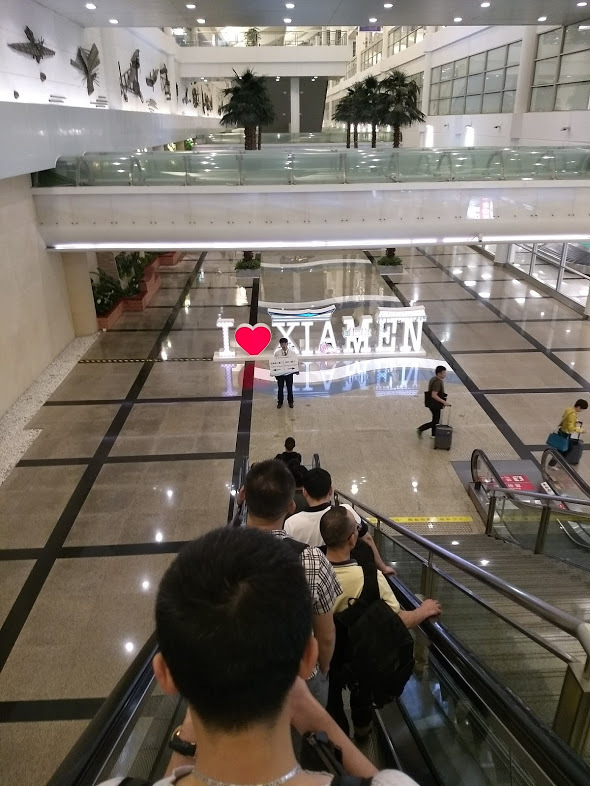 Rather than wait around for another devaluation, I used my points and scored free tickets to a popular warm-weather destination at a peak time. I’m looking forward to a fun Thanksgiving in the Arizona sun. And I’ll be going for free! If you’re still making holiday plans, don’t count out the opportunity to use your miles, even if you’re going somewhere that is popular and expensive.